Two musical works inspired by autobiographical transitions – one the news of an impending birth of a child and the other relocating from the Midwest to Salt Lake City – and a new dance composition about conformity and the age of social media mark this year’s newest Utah Arts Festival commissions for music and dance. The chamber music commission is sponsored by The Mandel Foundation. The jazz commission is sponsored by Jazz Arts of The Mountain West and the Salt Lake City Arts Council. The dance commission is sponsored by the Marriner S. Eccles Foundation and Lefavi Wealth Management. He says audience members will notice that the odd-numbered movements are fast and energetic while the even-numbered ones are calm and meditative. “All together they reflect, I think, the various topographies that we experience in life, the ups and downs, the more pensive moments, and the more ecstatic ones,” he adds. There are few solo moments in the work and he says the percussion stay active throughout the piece. 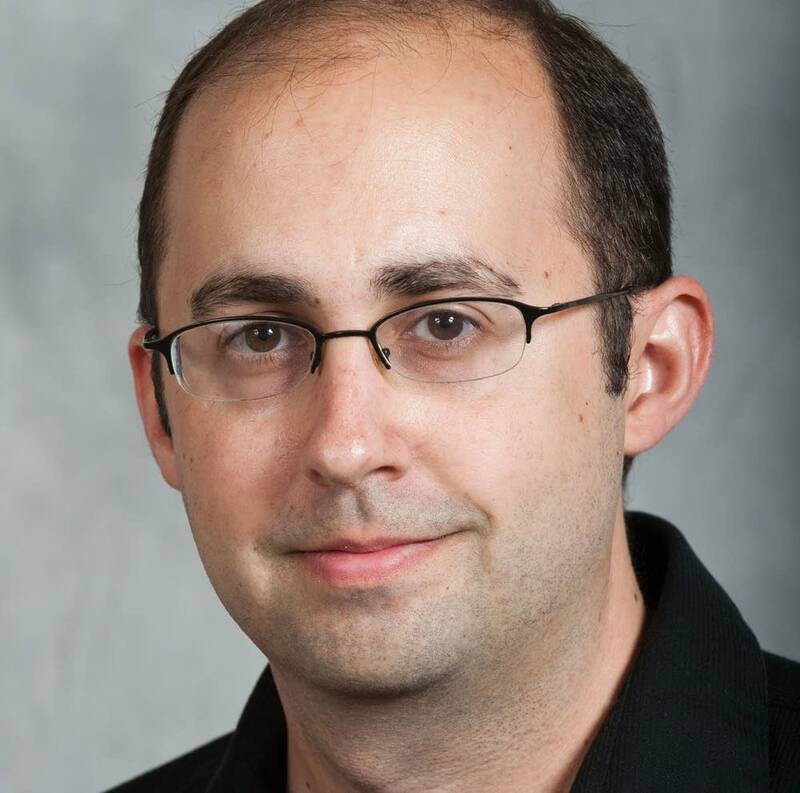 Based in Minneapolis, Bauer, who also is on the music faculty at Macalester College in St. Paul, Minnesota, has seen his music performed around the world. Premieres of his work have been given by members of the Minnesota Orchestra and St. Paul Chamber Orchestra, the Brentano String Quartet, eighth blackbird, Nash Ensemble of London, Pittsburgh New Music Ensemble, Synergy Vocals, New Millennium Ensemble, MATA Micro-Orchestra with Theo Bleckmann, Network for New Music and many others. His music appears on Albany and Cedille Records. He has been a resident artist at Yaddo, the Ucross Foundation, and the Atlantic Center for the Arts, and has received many regional and national awards, including three ASCAP/Morton Gould Awards for Young Composers. The work will be performed by The Vertigo Ensemble, directed by Andrew Rindfleisch. In addition to Bauer’s piece, the ensemble will perform works by Brian Ferneyhough, Stephanie Ann Boyd, Timothy Beyer and Clint Needham. The approach, as suggested by composer and local musician Henry Wolking, is refreshing with a nod toward the swing style but definitely rooted in the contemporary moment. Johnson says there are three main sections in his work: the chaos of change, adaptation and prosperity. The work moves quickly (as it is just five minutes) and is orchestrated for a big band (four trumpets, four trombones, four saxes, guitar, piano, bass and drums). Johnson also will play as trumpet soloist. 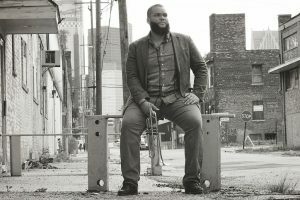 In perspectives of his big band writing, Johnson credits Duke Ellington, Thad Jones, Ernie Wilkins and Frank Foster as major influences. 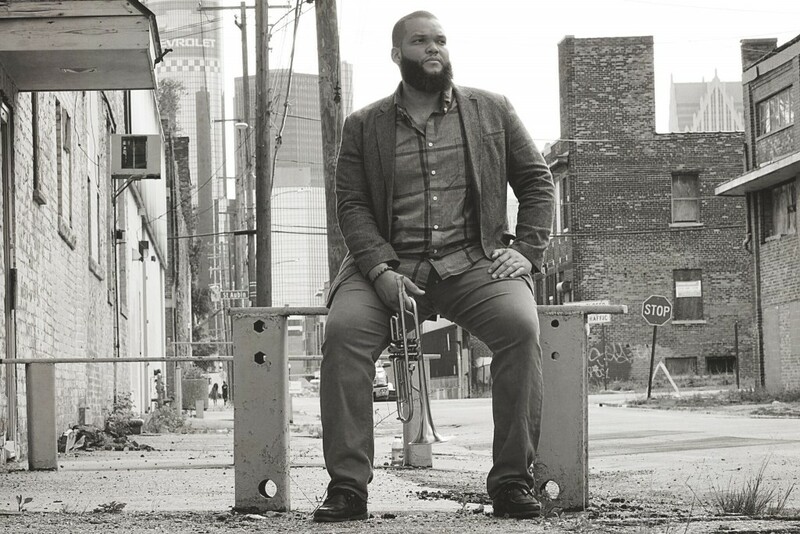 “As a trumpeter, Clifford Brown, Sweets Edison, Louis Armstrong, Tom Browne, Wynton Marsalis, Terence Blanchard, Nicholas Payton and Roy Hargrove are some of my all-time favorites,” he adds. Since the dance commission was introduced in 2011 with the involvement of Ballet West performers, the results have been tremendously satisfying with two commissions each resulting in new compositions by Tom Mattlingly and Christopher Ruud. This year, Adrian Fry, first soloist with Ballet West, will carry the legacy forward with Networked, a piece that will be performed by Ruud’s recently established company RUUDDANCES, LLC featuring the company performers as well as dancers of Ballet West’s professional training division. One of the most intriguing and versatile topical treatments for new choreography arises from the concerns of conformity and how that is manifested in today’s social media age where the personas and characters we create, cultivate and portray on social media. Fry says in an interview, “I always have been fascinated with the ideas and problems with what is created by technology and social media.” For the work, he is incorporating music by Trent Reznor which he composed for the soundtrack for The Social Network, a film that he says was tremendously entertaining for him. Reznor’s score seems in many instances to be an ideal fit for a choreographed work. The score includes ambient tracks that are stripped down in terms of tonal textures but yet which effectively convey emotion and motion, especially as they represented scenes where the idea of a social network was being inspired and taking shape. The work is scored for four dancers in two short movements. Other public performances during his childhood years including clogging one year at the Macy’s Thanksgiving parade in New York City. In his teen years, he trained with the Omaha Theater Ballet School before moving on to study at the School of American Ballet and Pacific Northwest Ballet School. The move out of Omaha was significant, as few boys were involved in the city’s ballet school. “When I arrived at Pacific Northwest, there were 35 in my class,” he adds. At 29, he has already cemented a national reputation through his artistry at Ballet West. 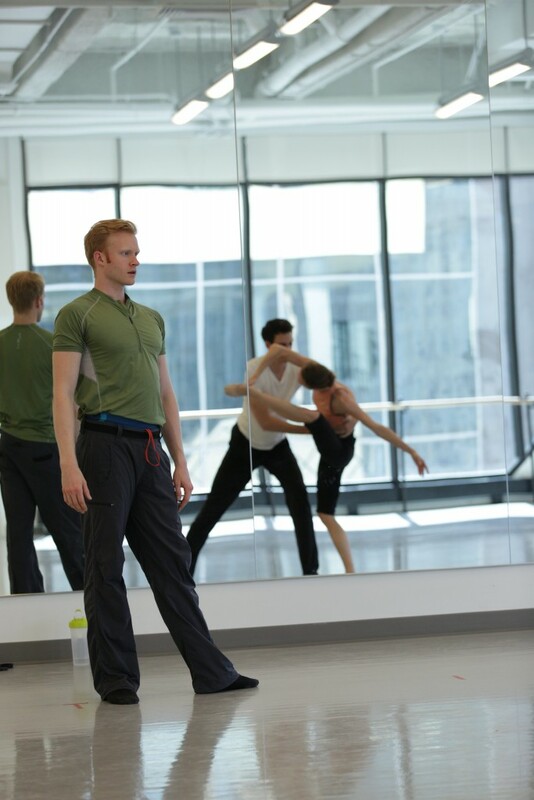 In 2015, Fry appeared as a guest artist with Ballet Victoria in British Columbia as well as with Heartland Youth Ballet and Lincoln Midwest Ballet. Earlier this month, he was invited by Gala de Danza in Cabo San Lucas to perform the Mexico debut of Josie Walsh’s Intertwined, a work that received its world premiere in Salt Lake City earlier this year. Fry’s work will be the last of four on a program featuring Fry along with Ruud’s company of dancers including Ballet West artists Jacqueline Straughan, Katherine Lawrence, Sayaki Ohtaki, Chase O’Connell, Joshua Whitehead, Chelsea Keefer and Ruud. The first three pieces are perfectly suited for a festival audience who can get a solid sample of both the artistic and athletic capabilities of ballet dancers. The program opens with the short, brisk, exhilarating pace of Nicolo Fonte’s Presto, with string music by Ezio Bosso. The second work is Concerto Barocco by George Balanchine, which premiered in 1941 and features the music of Bach’s Concerto for Two Violins in D Minor. Balanchine wrote about the work: “If the dance designer sees in the development of classical dancing a counterpart in the development of music and has studied them both, he will derive continual inspiration from great scores.” The third work, occurring just before the premiere of Fry’s commission, is Ruth, Ricordi per Due, a classic choreographed by Gerald Arpino in the later years of his life. It is a moving elegy set to the music of another great Baroque composer, Tomaso Albinoni.